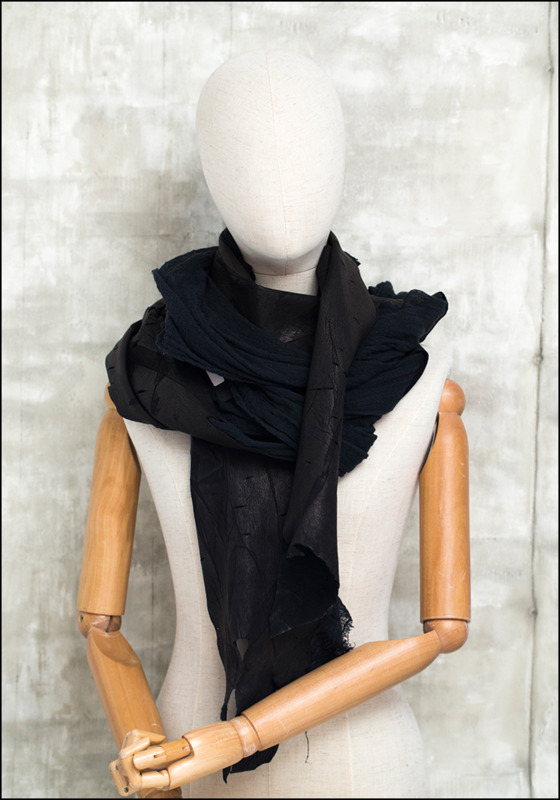 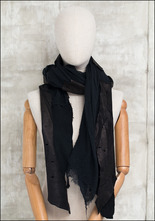 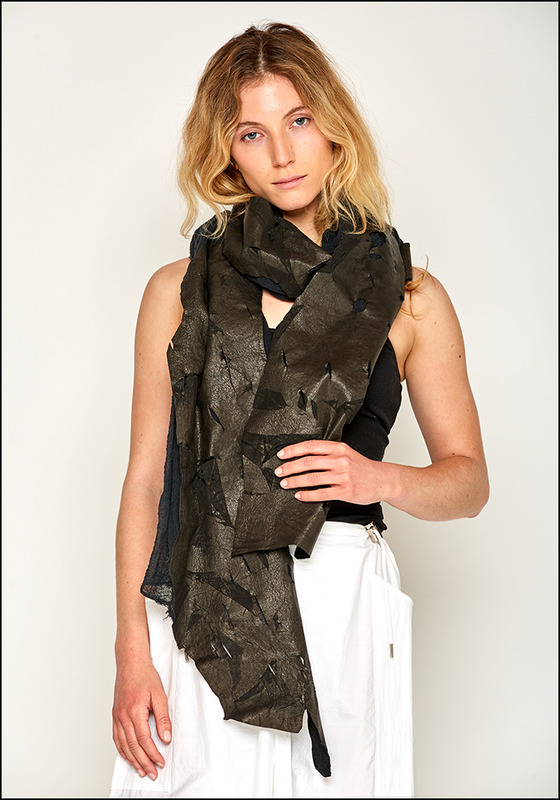 Handmade and one of a kind, this striking long scarf effortlessly combines soft cotton and asymmetric laser-cut leather. > Length: 104". 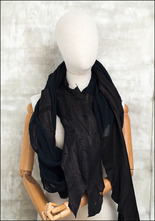 Width: 40".